Foot Imprinter Harris Mat – FM1111 The original diagnostic method for foot evaluation. Foot Imprinter Harris Mat is widely used to take the imprints of foot to analyse the plantar pressure variations of the foot. Simple, yet effective, and produces reproducible results when used properly. 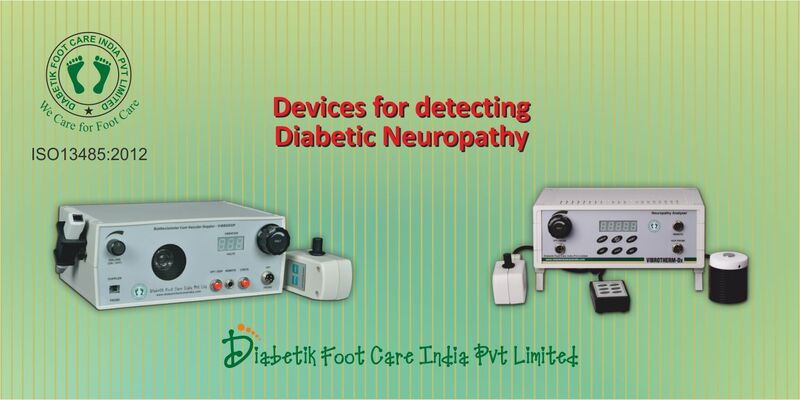 The foot imprinter displays weight distribution on the plantar surface of the foot. It can easily be used in dynamic gait analysis, static weight bearing and non-weight bearing positions. Features: •	Detects the area of greatest concern for ulceration •	Useful to identify Charcot's arthropathy •	Very light, portable and easy to handle •	Arch of the foot can also be detected •	More the darker area indicates the high pressure •	Presence of Callus can also be detected •	Walking pattern of the patient can also be found •	Easy to find the type of foot •	More than 500 imprint can be taken from a single pad •	Measures patient weight disbursement The set includes the imprint mat, prescription paper, inkpad and roller. Convatec India on October 20th dedicated its 2nd world class Advance Wound Care Management Centre in India with MS Ramaiah Memorial Hospital, Bangalore. A proud moment for all of us and we are partner to them in their both ventures. Our best wishes to ConvaTec and Vascular unit of MS Ramaiah Memorial Hospital. Podiatry Chair PC 301 / PC 501: These Podiatry chairs were developed for a comfortable seated position for the client at all times. Its slender appearance makes the room or consultation area appear more spacious. In addition, the arms fold up completely, making it easy for the client to get in and out of the chair from the side. The leg supports of the chair are contoured and the height and length can be adjusted individually. Their ergonomic shape provides stable support for the lower leg and foot. These chairs provide motorised adjustment of back rest, height and tilt using a hand remote control. An optional foot control provides hands-free working condition. 3 motor PC301 series offers all the above features. 5 Motor PC501 Series: In this model Inaddition to the above motorised adjustment of back rest, height and tilt the leg rest can also be adjusted individually motorised.